You will fall in love with this stunning anklet. 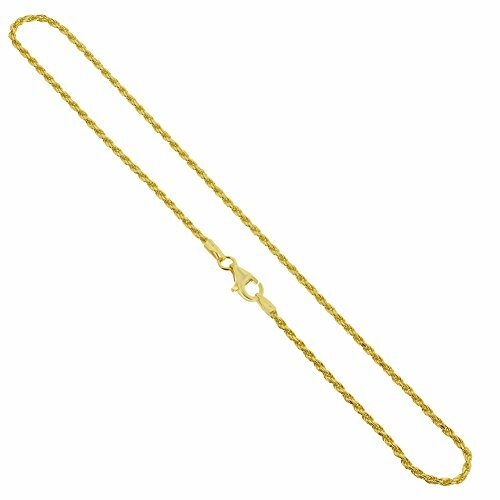 This is a 14 KT yellow gold over sterling silver 1.5 rope vermeil chain anklet. The anklet comes with a secure lobster claw clasp, and in 3 different sizes (9, 10, 11 inch), you are sure to find the perfect fit. The anklet will be shipped in a FREE gift box, perfect for surprising that special someone. You will fall in love with this stunning anklet. This is a 14 KT yellow gold over sterling silver vermeil 1mm diamond-cut snake chain anklet. The chain comes with a secure lobster claw clasp, making it easy to wrap around your ankle. The anklet will be shipped in a FREE gift box, perfect for surprising that special someone. You will fall in love with this stunning anklet. 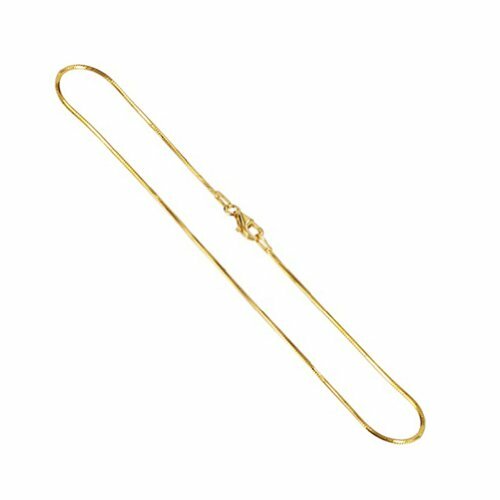 This is a 14 KT yellow gold over sterling silver vermeil 1mm box chain anklet. The chain comes with a secure lobster claw clasp, perfect to keep it secure around your ankle. And in 3 different sizes (9, 10, 11 inch), you are sure to find the perfect fit. The anklet will be shipped in a FREE gift box, making it easy for you to surprise that special someone. Be especially lovely in this beautiful .925 sterling silver anklet. 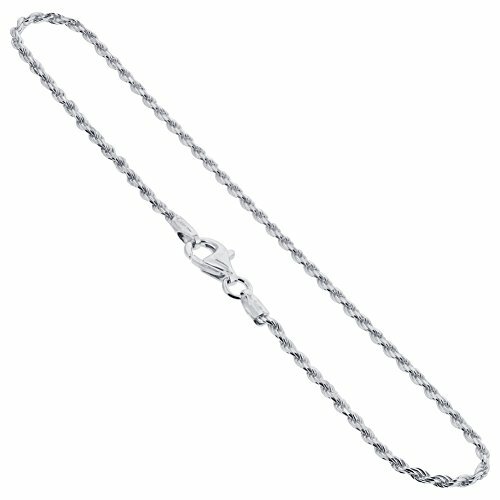 This solid Diamond-Cut snake chain anklet is approximately 1.5mm thick. The anklet has a polished finish and shines brilliantly. A secure lobster claw clasp has been added to make it easy to wrap it around your ankle and keep it in place. The anklet will be shipped in a FREE gift box, perfect for surprising that special someone. You will fall in love with this stunning anklet. 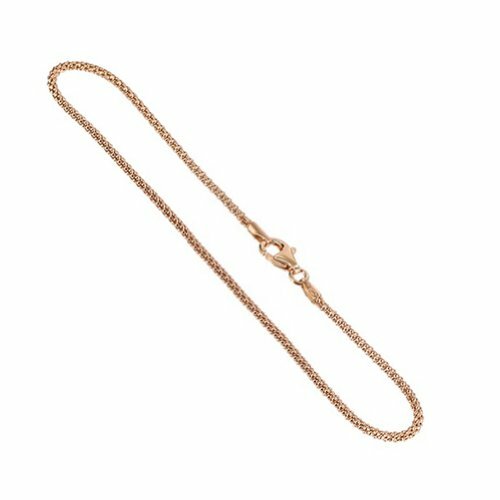 This is a 14 KT rose gold over sterling silver 1.6mm popcorn vermeil chain anklet. The anklet comes with a secure lobster claw clasp, and in 3 different sizes (9, 10, 11 inch), you are sure to find the perfect fit. The anklet will be shipped in a FREE gift box, perfect for surprising that special someone. You will fall in love with this stunning anklet. 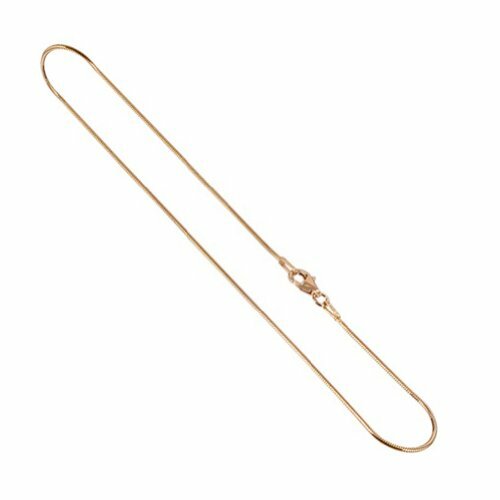 This is a 14 KT rose gold over sterling silver vermeil 1mm snake chain anklet. 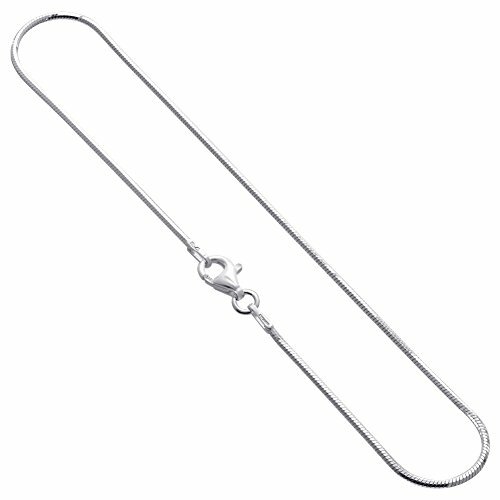 The chain comes with a secure lobster claw clasp, perfect to keep it secure around your ankle. The anklet will be shipped in a FREE gift box, making it easy for you to surprise that special someone. Wrap your ankle in elegance with this .925 sterling silver anklet. Made of Singapore chain, the solid Diamond-Cut anklet is approximately 1.5mm thick. Perfect for a special occasion, or anytime. The anklet will be shipped in a FREE gift box, making it easy for you to surprise that special someone. This gorgeous anklet is sure to make all the right impressions. 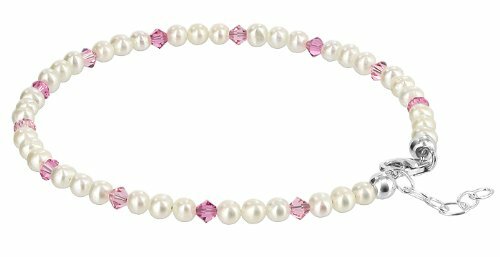 Made with a combination of cultured freshwater pearls and light rose bicone crystal accents, this anklet will light up any outfit. The length of this anklet can be adjusted from 9 to 10 inch and it comes with a secure lobster claw clasp in sterling silver. The anklet will be shipped in a FREE gift box, perfect for surprising that special someone. Be especially lovely in this beautiful .925 sterling silver anklet. 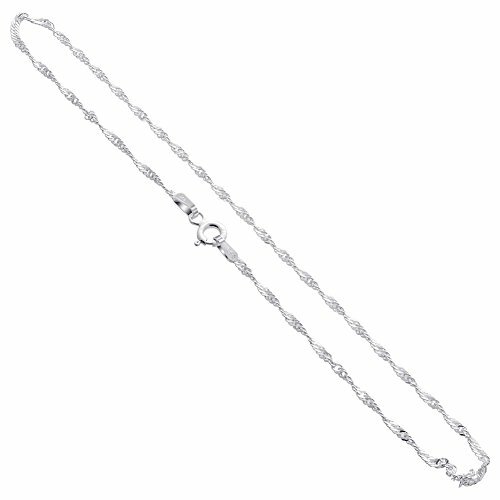 This solid diamond-cut rope chain anklet has a polished finish and shines brilliantly. A secure lobster claw clasp has been added to make it easy to wrap it around your ankle and keep it in place. The perfect anklet for a classy look anytime. The anklet will be shipped in a FREE gift box, perfect for surprising that special someone. 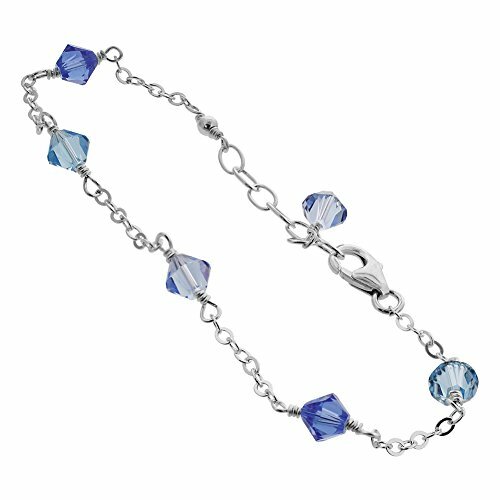 Sterling Silver Swarovski Element Blue Color Crystal Anklet. The Length of the Anklet is 10 to 11 inch Long Adjustable. The Anklet Have 6mm Each Crystal. The Anklet Comes with lobster-claw Clasp.